Buying a new home can be — and should be — an exciting time in your life, whether this is your first home or your fifth or even your fifteenth. Of course, if you don’t have an idea of how you’ll finance a new home before you start looking, the home buying process will be that much more difficult. Save yourself hassle and heartache. Before you start looking at all the homes for sale in your area, stop and take the time to talk to a lender or mortgage broker about finding your mortgage financing options. One of the more common options is the conventional mortgage. But is it right for you? No matter which mortgage financing option you ultimately choose, it’s a wise idea to get your financial ducks in a row before you run headlong into house hunting. Good financial preparedness before you start your search will give you an idea of how much house you can afford, so you don’t accidentally fall in love with a home you can’t feasibly afford to own. At this stage, meeting with a lender or broker can also show you areas where your finances could use some improvement. For example, when they run the numbers and check your credit score, they may be able to tell you that raising your credit score by 10 points could make you eligible for a lower interest rate. Working with a mortgage broker can also introduce you to the variety of different loan options available and provide you with choices based on your financial situation. One of those options may include a conventional home loan. The conventional mortgage, as you may guess from the name, is one of the more common home loan options available. What you may not know, however, is that it doesn’t refer to a single type of loan, but rather the subset of loans. Conventional home loans are loans that are not guaranteed or insured by any federal government program (like VA loans, which are guaranteed by the Department of Veterans Affairs, or FHA loans, which are insured by the Federal Housing Administration). Conventional mortgages can be offered by any lender. They are also broken down into the sub-categories conforming and non-conforming. Conforming loans are those that stick to the limits and qualifications set by the Fannie Mae and Freddie Mac underwriters and, you guessed it, non-conforming are conventional home loans that break outside of the Fannie Mae/Freddie Mac mold. Choosing between a conforming conventional mortgage and a non-conforming loan will depend largely on your budget. The loan limit for Freddie Mac and Fannie Mae as of 2018 is $453,100, though that number is higher in certain high-cost areas like Alaska and Hawaii. Loans that go over that limit are considered non-conforming, and may also be called a jumbo loan. Other non-conforming loans include options for those with low credit scores, large debt-to-income ratios, or are recovering from bankruptcy. Since conventional mortgages just mean they don’t have government backing, they often offer a lot of wiggle room in terms of qualifying. Lenders can set their own qualifications and have the option to conform to Fannie Mae/Freddie Mac limits or not. What this means is you can walk into one bank and be told one set of eligibility requirements then cross the street to another bank who offers different terms. In this regard, talking to a mortgage broker is often more beneficial since they work with multiple different lenders who offer different loan qualifications. This also means that conforming conventional mortgages can work well for most home buyers, the bigger concern is taking the time to shop around and find a lender who offers the best rates based on your financial situation. As a broad generalization, conforming conventional mortgages are better for those who have mid- to high-range credit scores and are prepared to offer a larger down payment. Particularly if you can offer the full twenty-percent down, a conventional mortgage will likely provide you a competitive interest rate. So, if you’re preparing to sell your current home and purchase a new one, a conventional loan may be the best loan option for you because you will have a strong payment history and can use the proceeds from the sale of your home for the down payment on the next. A conforming conventional mortgage is not great for those with lower credit scores or smaller down payments. You may find lenders willing to underwrite your loan, but the interests rates will probably be higher and cost you more in the long run. This is when looking into government-backed loan programs or non-conforming conventional loans can be more beneficial. Everyone’s financial situation is different, so the biggest part of choosing a mortgage is taking the time to find the right loan for your specific needs. Working with a mortgage broker can introduce you to all the different options available. They will also have a better understanding of the differences between various options and programs, so a broker is well suited to discuss which options will give you the best interest rate and terms. Are you ready to start hunting for your next home? 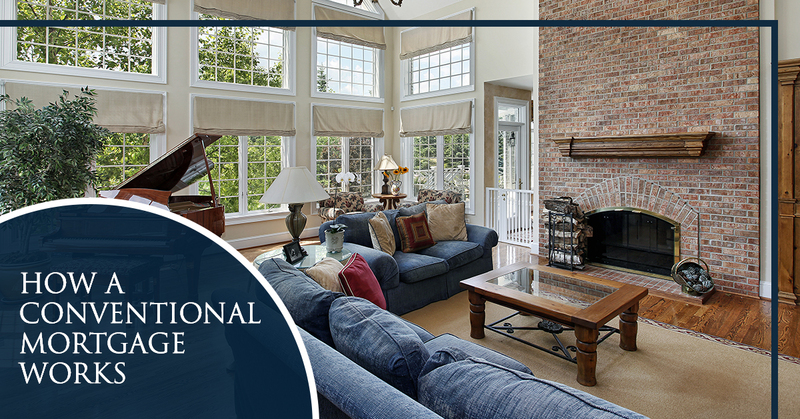 Dig into a range of different conventional and non-conventional mortgage options with the Patriot Home Mortgage team. Contact us today to get started!